Just over a day ago, I posted a quick blog entry calling for photos on two specific topics to be included in a magazine article. Since my deadline for the article was the end of the year, this didn’t leave me with much time to find the photos. But you guys came through and I was amazed at the response! Within minutes of the post, people were leaving links to their photos. I sent out a Twitter message that pointed to the blog entry, and many people passed the message along to their own networks. In about 24 hours, we had 32 responses to the blog entry and a whole gob of great photos to choose from. This kind of community response is absolutely outstanding, and I’m so glad to see such effort in a short amount of time. After that 24 hour period, it was time for me to play “magazine photo editor” and pick the two photos for the article. This is not an easy task, and I don’t envy people who do this for a living. If you’ve never done it before, you have no idea how hard it is to choose a small number of photos from a ridiculously large pool of good work. I can’t help but feel like the “bad guy” because all but two people are ultimately disappointed with my decision. So… I offer my apologies to those who didn’t make the cut, and my congratulations to those who did. A big thanks to both of these photographers for offering up their photos. And an equally big thanks to all the other photographers who did the same! So why did I choose these photos? 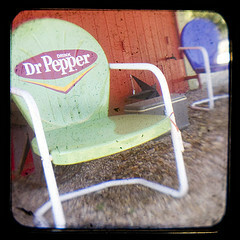 The “vintage” photo was chosen for several reasons: color, TTV, and old school quirkiness. 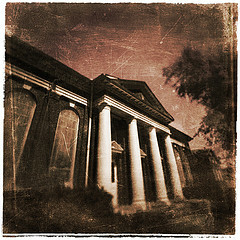 The article touched on colors for “vintage” photos, and the original photo in the blog article was TTV in appearance. These two things made a candidate for a good replacement image. But the thing that really sold me on this photo was the inexplainable attraction I had to it — some sort of quirky trait that reminded me of an old photo… the scene, the subject, the colors, I don’t know. I just liked it. The “texture” photo was also chosen for several reasons: subject, color, and that crazy texture! We seemed to have more texture photos submitted, so this one was particularly hard to choose. I chose this one because the subject contrasted well with the other photos in the article, and the texture was clearly visible. The images in the magazine will likely be printed around 4″ wide, so a good strong texture would be necessary to convey the message. So again, congrats to these two photographers, and “thank you” to everyone who participated. I’ll post a shot of the article once I get it so everybody can see the photos “in print”. This entry was posted in News and tagged foto, magazine, News, photo, photography, photos, soura, texture, vintage on January 1, 2009 by Brian Auer. Yay! I know the TTV photograher and am so excited for her. I definitely want to try TTV this year. I’d like to try it out too — my TLR has an awesome viewfinder with some cool grit and dust. Thanks so much Brian – what an honor! Squee!! TTVs are so much – I bought a 2nd camera and plan to shoot more TTVs next year… they are so fun!